Most of the warts appear and disappear on their own. 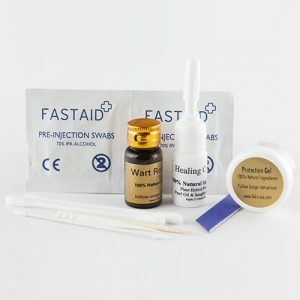 However, it is not wise to wait for this to occur, as you can accidentally transmit the HPV virus to another part of the body, causing the development of other warts. Immediate treatment is therefore paramount. In treating warts, there is always one objective that lingers, and that is to get to completely remove them. In this case, there are many methods that can be employed and among them is surgery. How is surgery on warts carried out? There are two main types of surgeries. That is; normal scalpel or blade surgery and a laser surgery. The latter is mostly used for warts that are hard to treat. It involves the use of a laser beam to kill the cells within a wart and eventually make it to fall off. A normal surgery that involves the cutting of a wart is done with the help of a scalpel or blade. A local or general anesthesia is used reduce the pain as it the wart is being cut out from the base. It is mainly used for large warts that are hard to treat through any other way. The major disadvantage of this is there are chances that the wart can grow back. This is because the Human Papilloma Virus is never completely eliminated from the body through a surgical procedure. Other than surgery, there are many other methods of skin wart removal that you can choose to use. They include; cryotherapy, electrocautery, photodynamic therapy etc. Once you notice a developing wart, it is advisable that you immediately consult a dermatologist. He or she would be in the best position to advise you further on how to proceed in order to remove it.